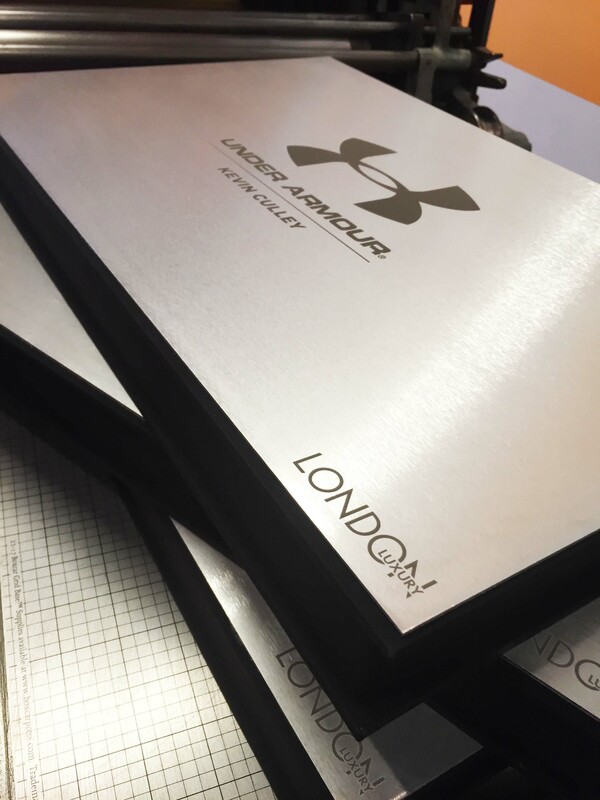 Working with our client, London Luxury, we etched aluminum for book covers and these box covers. Each of the recipients names were also etched on the box covers. Black Iris cloth covered the rest of the box.